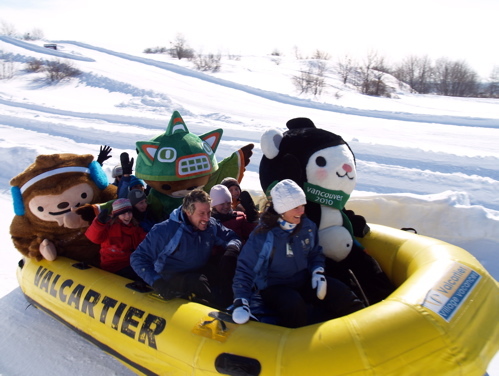 ← Quatchi’s Sport of the Day: Slalom Skiing! 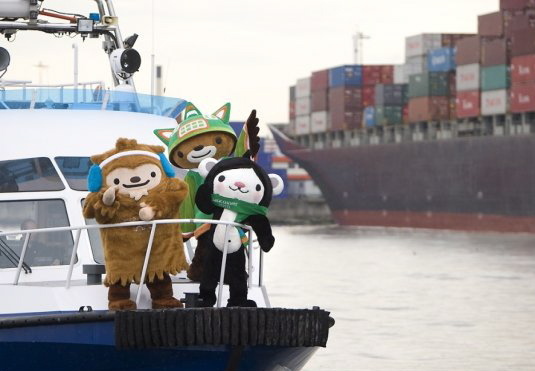 The mascots cruising Burrard Inlet brings to mind this classic Banana Splits video — photo by Clayton Perry. 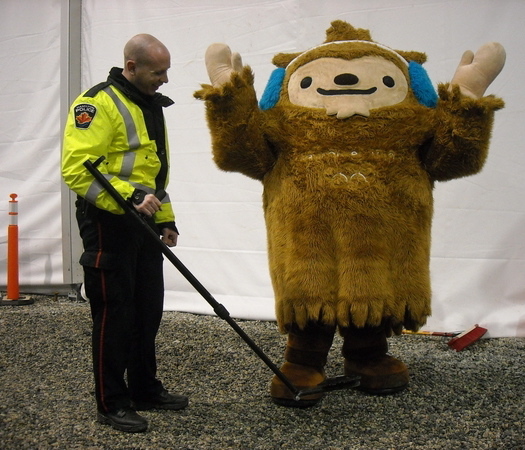 Wow, that’s some tight security… Could Quatchi be carrying an illegal firearm up his pelt? Found here. We love Quatchi over at Believe It Tour too!